Inter-particle interaction is one of the major reinforcement mechanisms for aggregates in asphalt mixture, which is a classic example of high-volume fraction particulate composites. This paper introduced the modified Ju-Chen (J-C) micromechanical method based on two types of radial distribution assumptions for inclusions in the matrix, namely the uniform distribution and Percus–Yevick (P–Y) distribution. A two-step approach was proposed and the elastic–viscoelastic correspondence principle was used to predict the effective dynamic modulus of asphalt mixture at different frequencies. The prediction results show that the uniform distribution and P–Y distribution based J-C method could generate the upper and lower bounds of dynamic modulus for asphalt mixture, respectively. As compared to the measured dynamic modulus at different temperatures and loading frequencies, the modified J-C method showed better prediction accuracy as compared to two traditional micromechanical models based on single inclusion configuration, Mori–Tanaka (M–T) and differential scheme effective medium models. The J-C method assuming P–Y distribution provided better accuracy at the low frequencies; while the J-C method assuming the uniform distribution only had good accuracy at the high frequencies. 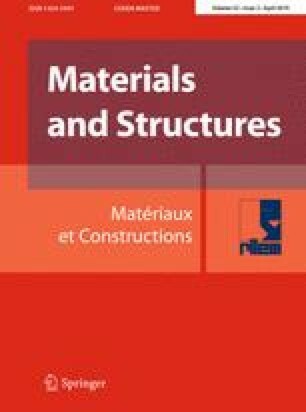 The study findings indicate that dynamic modulus of asphalt mixture can be predicted based on laboratory tests conducted at the fine aggregate mix level and the void ratio and the gradation of coarse aggregate using appropriate micromechanics methods. This research was partially supported by China Postdoctoral Science Foundation [Grant Number 2017M620434].